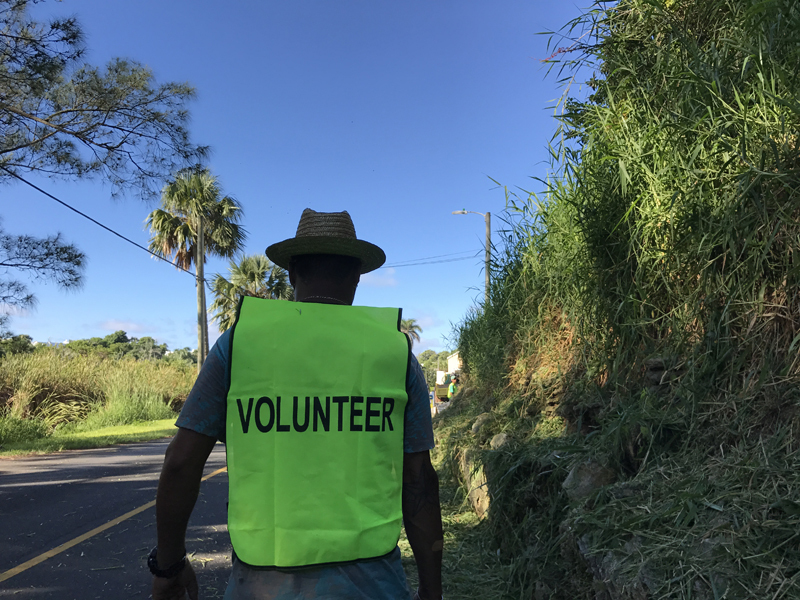 Volunteers spruced up the streets of their own neighbourhoods this weekend, inspired by the Bermuda Tourism Authority’s [BTA] Neighbourhood Beautification Programme. Devon Spring Road in Devonshire received three hours of care from ten volunteers on Sunday led by people who live in the area. 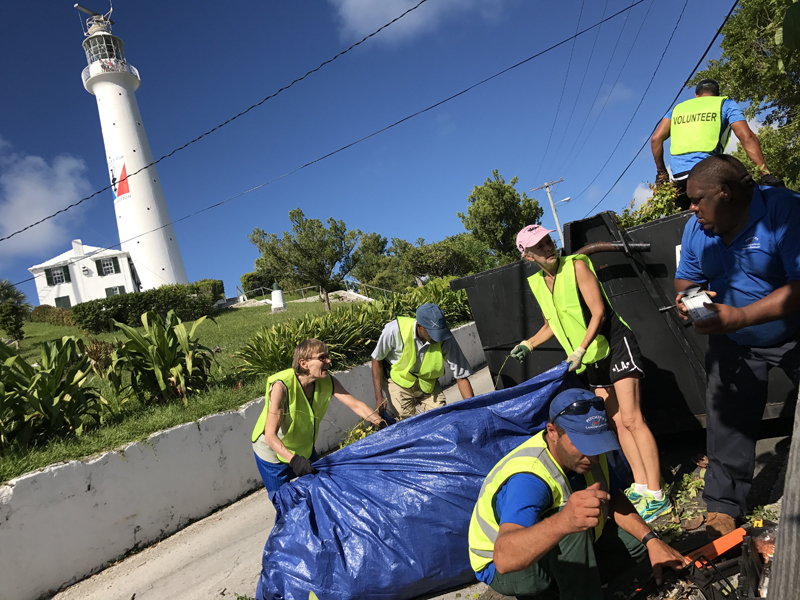 It was a collaborative effort that included the BTA, Keep Bermuda Beautiful [KBB], Lawn Care & Gardening Company and residents of the area. The Devon Spring Road neighbourhood submitted an application to the Neighbourhood Beautification Programme and was accepted because of its dedicated community and the fact it abuts a major transport corridor on the south shore used by visitors. To qualify for the programme the neighborhood must be relevant to the visitor experience. Meantime, springtime beautification work on the way to the Gibbs Hill Lighthouse was extended. On Earth Day a group of volunteers cleaned-up on Lighthouse Road from South Road to St. Anne’s Road. This past Sunday they extended that work from St. Anne’s Road to the Queen’s View plaque. Pitcher’s Landscaping was there to help the residents, BTA, KBB and other volunteers during the three-hour project. “This weekend was very important because we not only had a new neighbourhood join the movement, but the Lighthouse-St. Anne’s Road community is showing us the momentum we can generate when people have pride in their neighbourhood,” said Karla Lacey, BTA COO. There were almost two-dozen people involved in the work over the weekend. KBB, SAL, Butterfield & Vallis and the Bermuda Landscaping Association have been the main drivers of the Neighborhood Beautification Programme alongside the BTA. In total, four local neighbourhoods are enrolled in the programme at various stages of the process. The public will be notified when the application process re-opens to more neighbourhoods. Where the hell is Government. Easy now now………… think before you try to bury me.